Hardy, sea-sprayed travelogue of the author’s colorful journeys along the rugged Newfoundland coast in the 1950s and ’60s. Mowat (No Man’s River, 2004, etc.) once again vividly displays his unique talent for recreating remote Northern landscapes and their inhabitants. Arriving in glacially scarred Newfoundland, aptly called “the Rock,” in 1957, he found a spirited, sea-loving people clinging tenuously to their Old World traditions. He bought a 30-foot schooner and embarked on a years-long exploration. In 1960, aboard that very vessel, he met and fell in love with a young commercial artist, Claire Wheeler. Mowat left his wife and two young children for Claire, a decision he makes no effort to justify, or even explain. 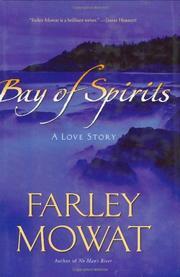 He never looked back, and soon he and his new love were exploring Newfoundland’s most isolated coastal villages. Along the way, they encountered feisty ferry captains whose seamanship astounded even the most weathered harbor pilot; descendants of now-extinct Indian tribes, watching as modern fishing fleets inexorably depleted their once-rich fishing beds; and 80-year-old Marie Penney, the hospitable “Queen of the Coast,” whose fish-processing plants dominated Newfoundland industry. Far less welcoming were the hostile and suspicious residents of Grey River, an eerie hamlet mysteriously devoid of dogs. Mowat and Claire eventually bought a seaside cottage in the remote village of Burgeo, bringing the first motorcar to that part of the world. Their summer idylls on land and sea were sublime, but they also witnessed repulsive examples of human cruelty to fellow creatures that ultimately forced them to rethink their choices. As always, Mowat’s powers of recollection and description are prodigious, whether conjuring up a becalmed cliff-lined inlet or a churning, windswept coastal storm. It must be noted, however, that his canvas here is often bleak, and after a while, the impoverished hamlets reeking of fish all seem the same. A bracing tale of the fierce struggle waged by those devoted to the sea as a way of life.